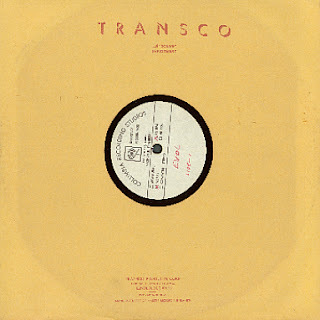 Roger Maglio from Gear Fab records found an acetate from a band called EVOL. Eventually he found a member, Jeff Hanichen. EVOL a band, that was born in 1968 at the Seabreeze Lounge, in Huntington, West Virginia. The original band consisted of Randall Hackney on lead guitar, Mike Blair on bass, Roger Dillon on keyboards, Jeff Hanichen on guitar and Roger Caines on drums. They had a small following and they signed a contract with a music company in Nashville, Tennessee. Soon they started recording the album at Nugget Studios, in Goodletsville, Tennessee, just outside of Nashville, in February/March, 1971. When I was listening to the LP I was really amazed from beautiful melodies, they created and it really gives you a very interesting late 60’s atmosphere, kind of soundtrack for hippie summertime. Fans of the early Byrds and Grass Roots make sure to check the album out! We can be really glad, Roger Maglio found this acetate, because it’s another great example of how many great music from the past can be still found. 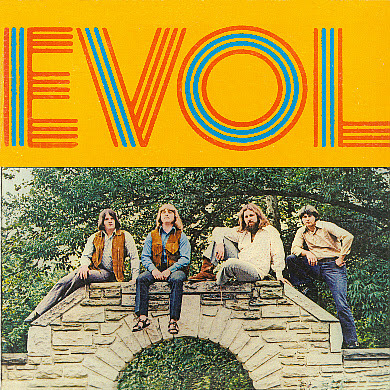 I think, that EVOL is for everybody, who sympathies with that amazing late 60’s vibe, that can’t be reproduced. If you would like to find out more about the band, check the interview I did with Jeff Hanichen awhile back. On January Gear Fab will be releasing the album on both vinyl and CD. 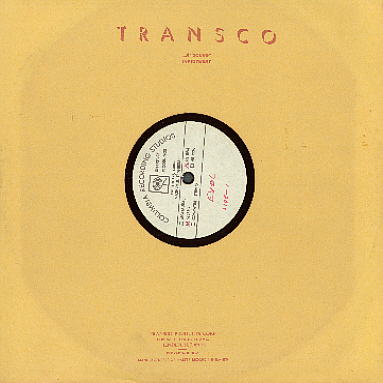 The vinyl version is on 24 point board, 180 gram vinyl, and includes the original Transco sleeve and handwritten labels! Make sure to grab it at: Gear Fab Records!